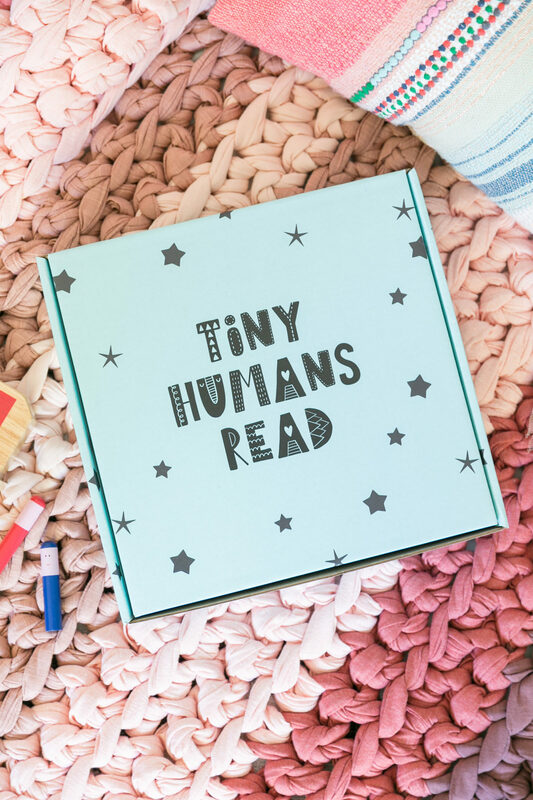 Tiny Humans Read is a book box for kids founded by parents passionate about reading. We believe that a love of learning, books, and reading starts early in life, and we want to make it as easy as possible for parents to nurture that excitement for discovery in their children. We created Tiny Humans Read for you and your tiny humans. We imagine you sitting with your kids on rocking chairs, beds, floors, and everywhere in between for story time. Whether it’s Goodnight Moon for the hundredth time or a new favorite, we wish you years of happy story time with your kids. We curate each box with you and your kids in mind. Every month we curate a book box for kids designed to foster happy memories and encourage a lifelong love of reading. We offer three options so you can find what’s right for your family: the Tiniest Human Box for your littlest board book readers (teething on the book corners encouraged), the Tiny Human Box for 3-8 year old readers, and the Sibling Box with a mix of board books and picture books. Pick your perfect box and come read with us! Join our mailing list for coupons, giveaways, and more!